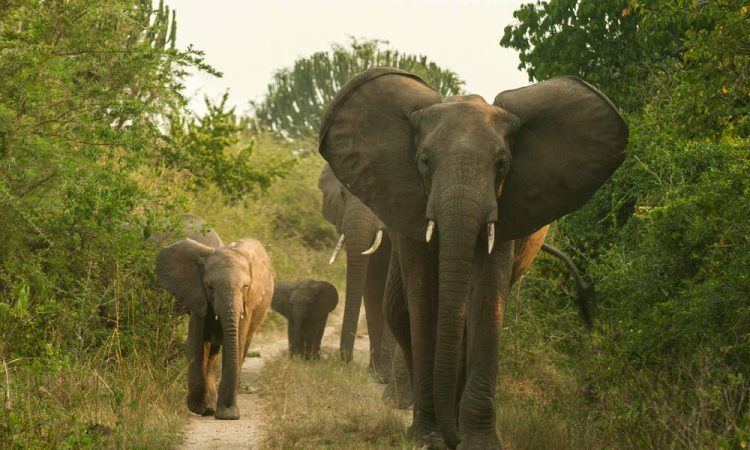 This 5 day Uganda safari takes you to the Murchison falls national park, one of Uganda’s best wildlife and adventure parks before proceeding for gorilla trekking in the Bwindi Impenetrable Forest National Park. You will be picked from your hotel by our guide who will brief you about your upcoming safari. You will then proceed to Murchison falls national park. After checking in at the park, you will drive directly to the Top of the falls, such a pretty site for appreciating the mighty River Nile and the most powerful rush of water anywhere in the world behind. Wake up early and go for an early game view drive on the Northern Delta Nile where you get to see many wildlife including Lions, buffaloes, waterbuck, Jackson’s hartebeest, Rothschild’s giraffe, oribi and baboons. In the afternoon, you will go for a launch cruise on the Nile where you get to see many animals watering including hippos and crocodiles, small herds of buffalo. There are also very many birds along the Nile banks including the shoebill stork. You will wake in the morning have your breakfast and drive to Bwindi impenetrable national park. Stay overnight at Buhoma Community Bandas (budget)/ Gorilla Resort (luxury) FB. Take an early morning breakfast, head to the park office headquarters with packed lunch for a routine briefing about gorilla trekking. The gorilla trekking takes about 2-3 hours to after which you will meet the gorillas whose presence you will stay in for 1 hour. Within the forest you will see many other creatures of the wild. Return to Gorilla Resort (luxury)/ Buhoma community Bandas (budget) FB. Enjoy breakfast in the morning and leave Bwindi early for Kampala and that will mark the end of this trip.